Holiness & Brothers E.M.S Inc. has a fleet of fully equipped vehicles that are certified by the Department of Health and Senior Services. They are fully cleaned, inspected and managed on a regular basis. We follow a strict preventive maintenance guideline and are serviced by expert mechanics and factory trained technicians. 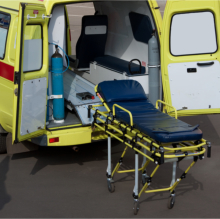 All of our vehicles can comfortably transport non-ambulatory patients as well. If you plan to avail of our services, please Schedule your Next Trip online so we can accommodate you. For questions and inquiries, please give us a call at 281-748-6673 and we will be happy to assist you in any way that we can.